Girls Build! 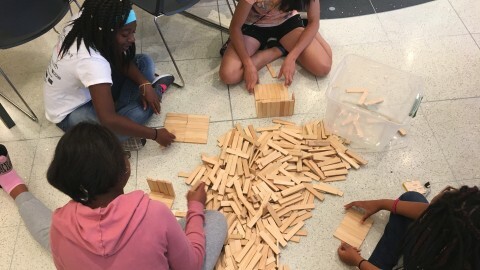 is an unique program for girls to get hands-on experience with architecture in an encouraging and uplifting environment. At first, the girls are quiet. 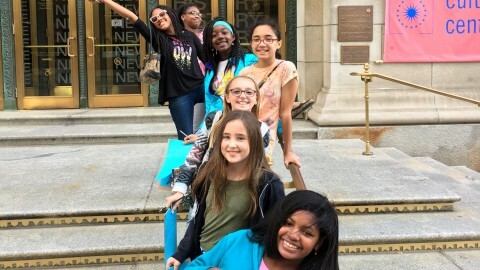 “Most girls come to the program like little clams, closed up, shy and very unsure as to why they are here,” says Angela Esposito, manager of studio programs. Yet every Sunday afternoon for eight weeks, they meet at CAC for four hours. And as time goes on, they get more excited. The room starts to buzz with ideas and creativity and the friendships grow strong. They freely share ideas, ask big questions and try something new. 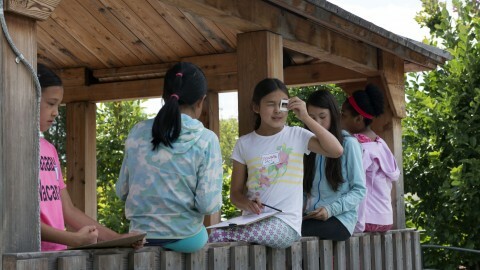 “It is a wonderful experience to see a group of girls who don’t know each other become sisters within eight weeks,” Angela says. 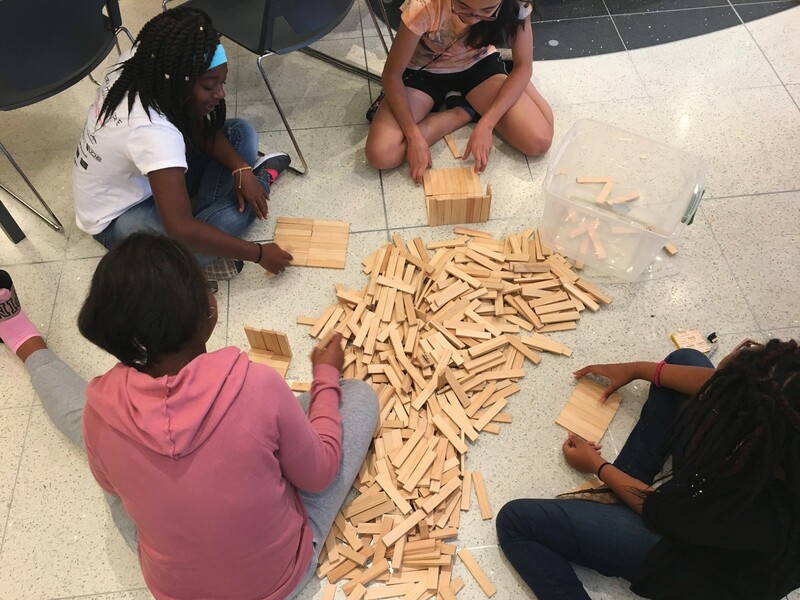 “By the end of the series they are confident, asking great questions and ready to take on their roles in the world as leaders.” Started two years ago, Girls Build! 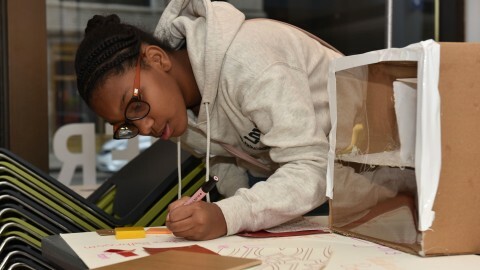 is a unique program designed for female students from Chicago Public Schools, ages 11-14. The girls attend for free, thanks to the support of our generous donors. 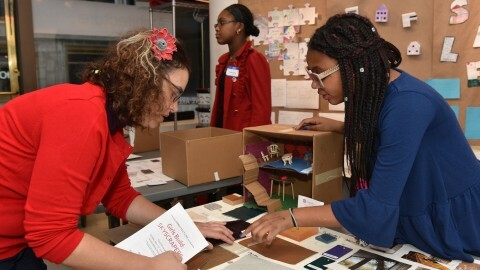 Each series is different, but this fall the girls explored the evolution of Chicago skyscrapers and urban development. 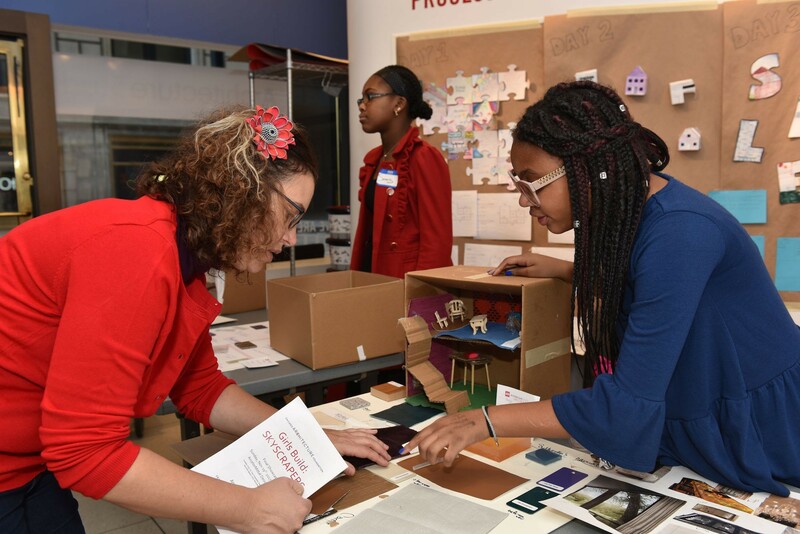 At each session, they have an opportunity to take on a new design challenge, from designing affordable housing to building a “green” structure. The assignments serve as great launching pads for discussions about the built environment, especially how and why decisions are made. Girls Build! experiences outside CAC range from meeting female architects, engineers and designers to visiting architecture firms like VOA and SOM. 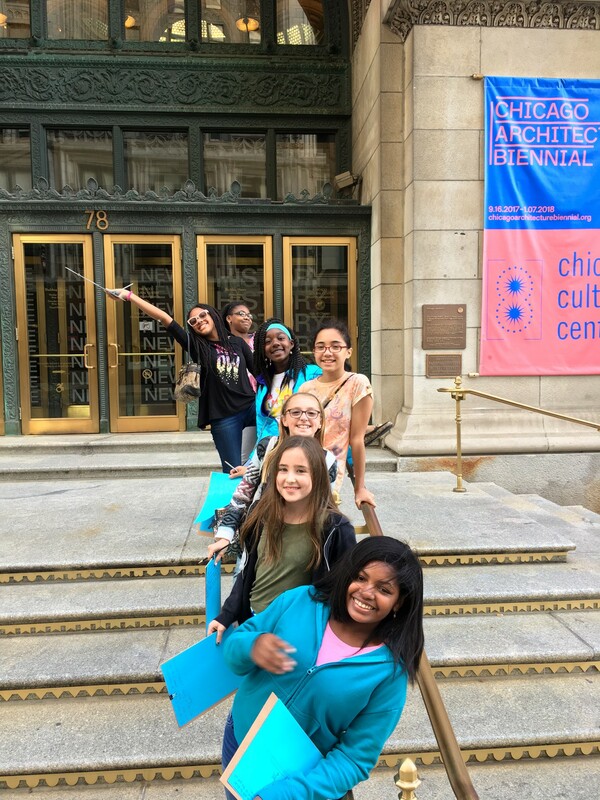 The girls also have opportunities to visit architecturally significant buildings, like woman-designed Aqua, the Monadnock and Willis Tower. Simon Weffer said he signed his 12-year old daughter Gaby up for Girls Build! because he knew it would give her a safe space for her to try new things, fail and try again. He said he would encourage other parents to consider signing their child up after seeing the impact it had on Gaby. The program concludes with a presentation of team-built model skyscrapers, which the girls plan, draft and construct together. Participants are visibly more confident in decision-making and able to share significant knowledge about the design process. They also walk away with stronger social and emotional skills and a feeling of empowerment about female roles in the built environment, where women currently only represent two of every five architects. 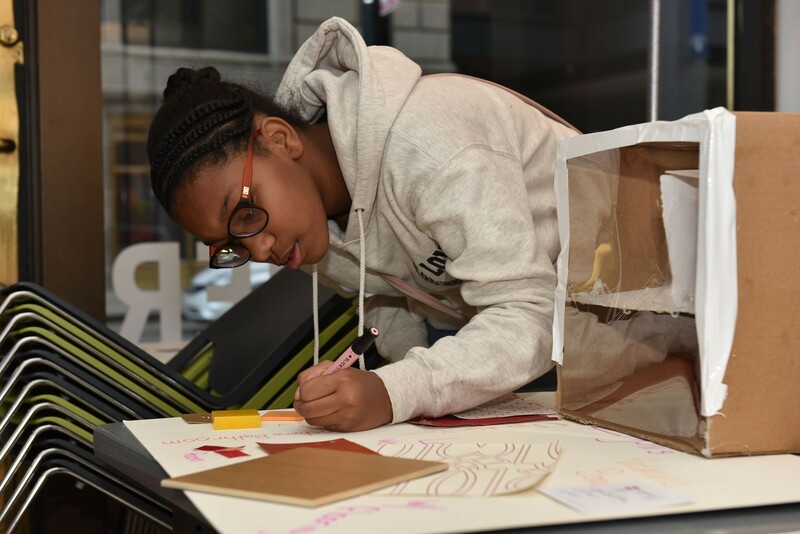 To learn more about Girls Build!, please email us at education@architecture.org. Chicago Public School students whose schools have 50% or more students participating in a free and reduced lunch program are eligible to apply for a scholarship.